Master site plan. Shows most, but not all, excavated architectural features. Each small grid square is 10 m on a side. The large squares and rectangles marked off with heavier lines and including a two or three digit numbers (e.g. 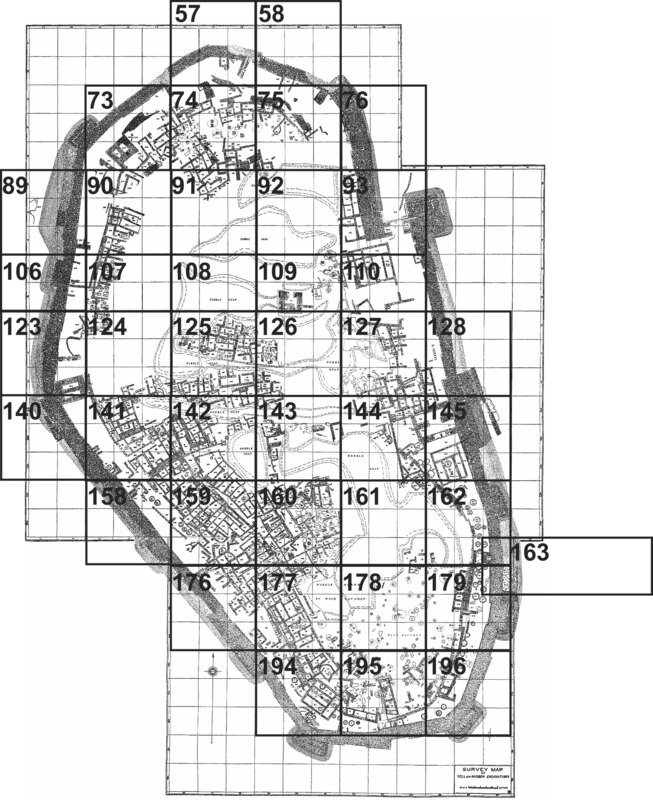 57 and 196) indicate the areas depicted in the 1:100 plans.